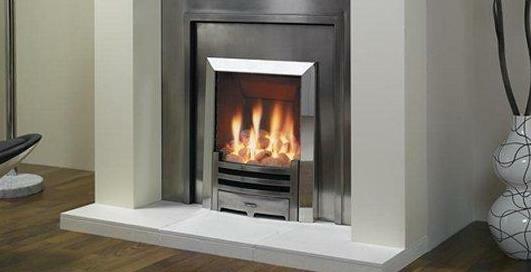 We recommend all gas fires are serviced every 12 months, regardless of how often the fire is used. Most gas fires are open-flued (i.e. use air from the room for burning), so are potentially very dangerous if poorly maintained. There are numerous issues which impact on a gas fire functioning correctly and safety - a blockage in the gas pipe, gas leaks, incorrect gas pressure, blocked or undersized chimneys, burners clogged by soot or debris, incorrect room ventilation and many more. All these factors are checked during our thorough service - it is not just a 5 minute case of vacuuming the coals! You will then be presented with a detailed report of our findings, summarising the work carried out and the condition of the fire. We will survey your property to check that all requirements of the Gas Regulations can be met and that your gas fire can be installed correctly and safely. 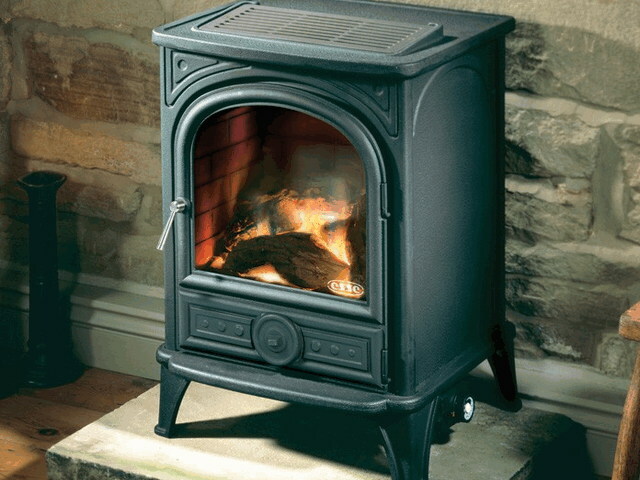 This is usually best done prior to purchasing your fire as it is necessary to confirm that your selected fire is suitable for the type of flue/chimney that you have. What if I have no chimney/flue? We can fit a flueless gas fire (such as the one to the right) - these use a catalytic converter to convert poisonous flue gases to harmless ones - they are fairly low power and usually require additional room ventilation, so are really only useful as a focal point in the room, rather than as a room heater. We can fit a fan-driven (power-flued) or balanced flued fire - which extract the burnt gases horizontally through the wall to outside.